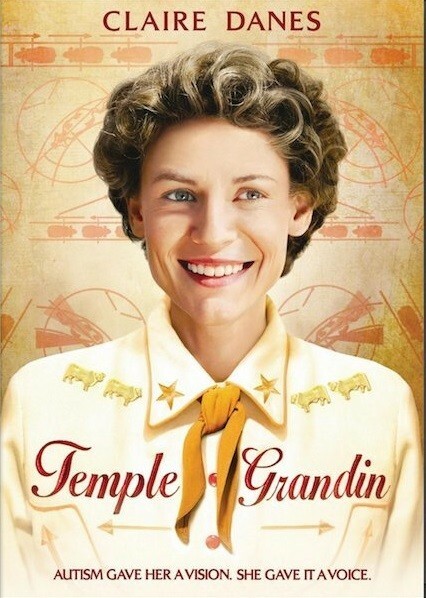 Temple Grandin is a 2010 biopic directed by Mick Jackson and starring Claire Danes as Temple Grandin, a woman with autism who revolutionized practices for the humane handling of livestock on cattle ranches and slaughterhouses. After she was diagnosed with autism at age 4, Grandin's mother, played by Julia Ormond, refused to allow her daughter to be institutionalized and fought for her to have every chance to live whatever life she chose. 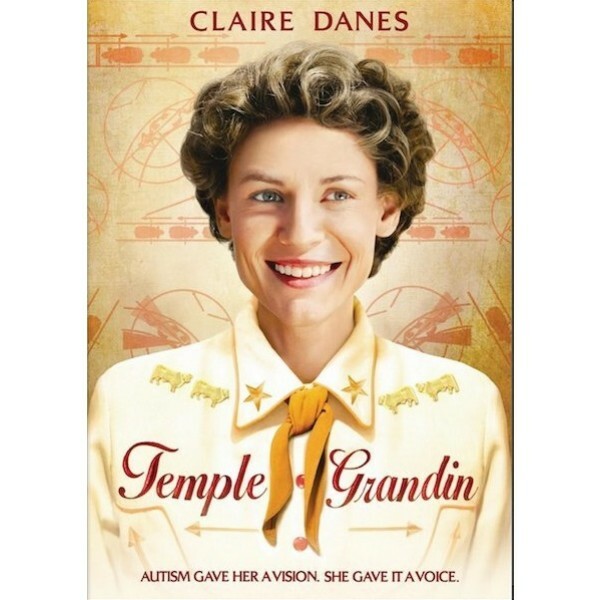 The film follows Grandin as she not only goes to school, college, and grad school -- despite the cruelty of her peers at her odd behavior and the resistance of adults who believed she could not succeed -- but eventually discovers that her own experiences give her a unique insight into the daily lives of animals. Eventually, she turns that insight into the driving force behind a powerful movement for compassionate treatment of stock in slaughterhouses, and animal welfare in general. It wasn't easy. The doctor who diagnosed her at age 4 said she'd never talk and would have to be institutionalized. Only through the dogged efforts of her mother (Julia Ormond), who was told that "lack of bonding" with her child might have caused the autism, did Grandin learn to speak; to go to high school, college, and grad school; and to become a highly productive scientist, enduring the cruel taunts of her classmates and the resistance of many of the adults in her life (most of whom are shown as either narrow-minded prigs or macho, chauvinist jerks). Her lack of social skills and sometimes violent reactions to the overstimulation in her environment made it tough to fit in, to say the least. Danes, who is in nearly every scene of director Mick Jackson's film, is remarkable, embodying Grandin's various idiosyncrasies (such as talking, too loud, too fast, and too much) without resorting to caricature.